Here you find information about the "Conti-System" for three cushion billiards and the user guide of our app "ContiSystem" for iOS and Android tablets and phones. The Conti system is a very effective system to calculate standard strokes in three cushion. Using the app presented here, also the amateur can calculate rail first shots without knowing the system. Additional to the instructions for use you find a short explanation of the Conti system. We suggest, however, the support of relevant litterature. With the Contisystem you can calculate rail first shots and easy Around solutions. Study it very carefully and pay special attention to the problematic zones and also the respective corrections. Learn to use the app "ContiSystem" for iOS and Android tablets and phones. iOS and Android App. Calculate and vizualize the Conti System. On the virtual table you can position the balls precisely. The coordinates of the balls' positions are displayed and continuously updated. Adhesive Foils Conti-System for your Billiard Table. Put the foils on your billiard table and remove them as often as you want! The special adhesive foil with vacuum cup effect sticks perfectly to the rails but can easily be removed without residue. If the adhesive power becomes weaker because of dust and dirt simply wash the foils with water and they will stick again as if they were brandnew! Developed with the assistance of the Austrian champion Andreas Efler. Calculation systems in three cushion billiard can be very helpful for many patterns. Beside a consistent technique it is a prerequisite to study them consistently and thoroughly. 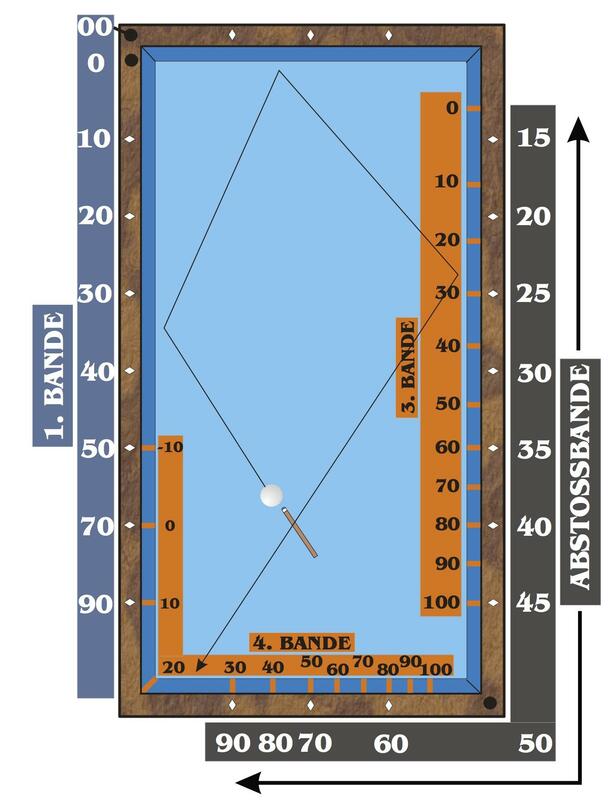 Therefore Andreas Efler selected six systems for the ebook “Systems in Three Cushion Billiards” like the classic systems “Conti”, “Plus” and the “Japanese System. "Big Points in Three Cushion" is a collection of three cushion solutions for tricky positions, divided into the different dessins. The solutions are explained in detail, using diagrams and symbols. 197 videos from two different perspectives are supposed to translate the theory into pictures.